The USB Rover 2650 is a compact USB 1.1 extension system ideal for use with peripherals such as keyboards and mice. Requires no external power adapter. Transmits power and data over the same Category 5 cable. Limited Stock, only while stocks last. Requires no external power adapter. Transmits power and data over the same Category 5 cable. 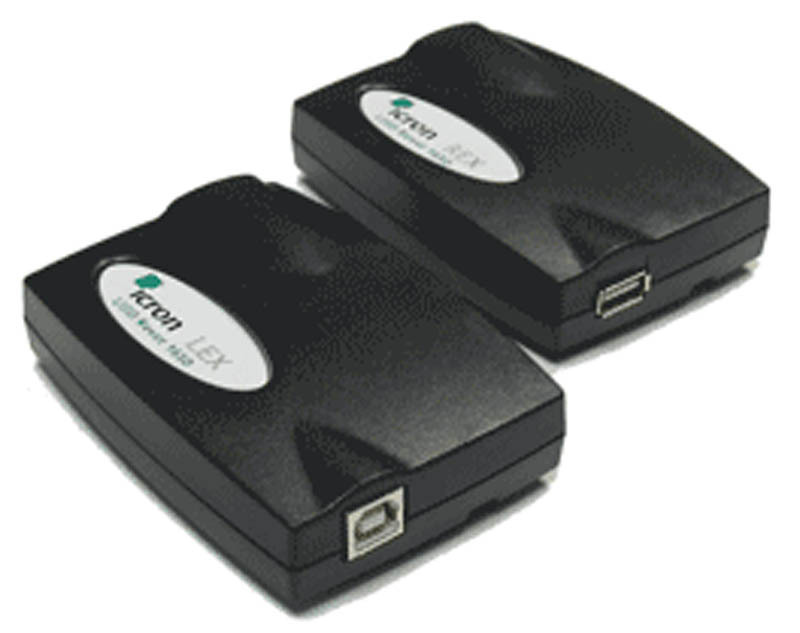 Provides support for any full-speed (12 Mb/s) or low-speed (1.5 Mb/s) USB device. System includes local and remote units, USB cable and user guide. Any full-speed (12 Mb/s) or low-speed (1.5 Mb/s) device USB hub support Up to 3 hubs can be connected in series with the Rover 1650/2650. Each hub reduces the maximum range by 10 meters.